Dr. Mikael Karlsson is elected President of the European Environmental Bureau and the Swedish Society for Nature Conservation, the largest environmental organisations in Europe and Sweden, the latter a full-time position since more than a decade. He has also served as chair and in the board of several other environmental organisations. Dr. Karlsson is agronomist and holds a PhD in Environmental and Energy Systems. His research focuses on environmental policy and risk governance. He has written several scientific articles on risk management, chemicals law, marine policy, energy issues and biotechnology, as well as numerous popular texts in journals, books and newspapers. 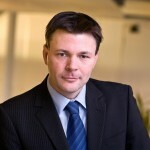 Dr. Karlsson is a member of the European Resource Efficiency Platform and has been a member of two European Commission High Level Groups (on Competitiveness, Energy and the Environment, and on the Competitiveness of the European Chemicals Industry), as well as in the Environment and Climate Advisory Group at the European Commission’s Research Directorate. He is an Independent Specialist in the Swedish Parliamentary Cross-Party Committee on Environmental Objectives and a member of the board of the Swedish Chemicals Agency, as well as of the advisory board at King’s College Centre for Risk Management in London. He has been a delegate to EU, WTO and UNEP ministerial and informal ministerial meetings. Dr. Karlsson is senior lecturer in environmental sciences. His teaching since nearly 20 years focuses on environmental policy and natural resources management, including Swedish and EU politics and law. He has also conducted studies on sustainable rural development and natural resources conflict resolution in e.g. East Africa. Mikael Karlsson is 43 years and lives in Stockholm with his wife and two children.